Is Spotswood Lodge a Bed & Breakfast? No. Spotswood Lodge is an 11-acre Farm Rental. Tenants of Spotswood Lodge get the entire property to themselves (8 bedrooms/sleeps up to 20). Simple to luxurious catering is available from The Market at Grelen. Although no breakfast is served, tenants can order from the catering menu and have it delivered. We highly recommend the Grelen homemade scones! See the Catering Tab for options. ​The Market at Grelen’s in-house catering team, headed up by our Executive Chef, Harold Martin, can cater to your needs. Casseroles can be made for your stay and left in the refrigerator for when you arrive and fresh homemade scones and lunches can be delivered at your request. Fancier wine dinners are available, too, with enough notice. Yes--The Market at Grelen also owns Boxwood Villa which is located only 10 minutes away next to the Town of Orange. See www.boxwoodvilla.com for details. Central Virginia is a beautiful area and there are is plenty to do locally to enhance your stay at Spotswood Lodge. Please check out our website www.ruralrootsva.com. Rural Roots, founded in 2013 by The Market at Grelen, is a consortium of the like-minded, high quality businesses in the area that we recommend. The Rural Roots website is a terrific resource for local information including transportation, restaurants, shops, lodging and more. Visit the Rural Roots website and start planning your trip! ​​We highly recommend all of these local partners, but please let us know if you have any questions about any of the information on the site. 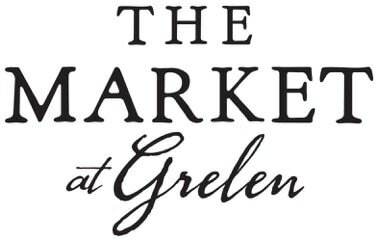 You can email The Market at Grelen owner, Leslie Gregg, at lcgregg@themarketatgrelen.com, if you have specific questions and/or any feedback about your experiences. She picks and approves all members personally! Yes! Kristi Ellis, is a professional photographer. Please ask her about setting up a portrait session during your stay. is wifi available at spotswood lodge? Yes! Internet is available at Spotswood Lodge but keep in mind that internet in the area is by satellite only and does not allow for streaming movies, videos, or music. The connection is good for web browsing and checking e-mails. wHAT AREAS ARE INCLUDED IN THE VENUE RENTAL FEE? You have exclusive use of the property until 11 pm. What times do we have the Venue? Ceremonies may begin anytime if you have booked overnight accommodations with us. All events must end by 11:00pm. Due to noise ordinances, music must be turned off at this time. ​Are Tables and Chairs Included? ​No, all rental items must be brought in from an outside vendor. Please see our recommend preferred list for a list of approved rental & decor companies. ​How can I reserve my wedding date? A 50% deposit along with a $1,000 refundable security deposit is required within 7 days of the signed contract to reserve your date. The remaining balance is due 30 days prior to your event. ​What is the Refundable Security Deposit? ​A $1,000 refundable security deposit is required with the signed contract. This is to cover potential damage by your guests, and will be refunded 10 business days following the event. If any damages have occurred, you will be notified, and we will bill you for any repairs over and above the deposit. If your event exceeds 40 guests, we do require that you hire at minimum, a Day Of wedding planner. Our Events Director can recommend planners based on your specific needs, and several of our preferred caterers offer Day Of wedding planning services. ​Yes! The existing outdoor lighting and landscape lighting is included. We recommend you rent additional string lighting for any tented structures. Candles are the responsibility of the client and must be contained in a votive or hurricane. There are several electrical outlets for your use. ​The restroom’s inside can comfortably accommodate up to 50 guests. An additional restroom is required for events exceeding this amount, at the client’s expense. ​Due to safety and liability concerns of hosting an event in the country, shuttle service for guests must be reserved to all guests not staying onsite. 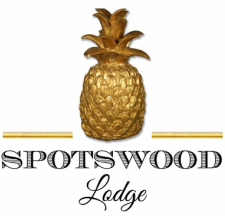 Spotswood Lodge has very limited parking and only offers 10 spaces. If you guest count exceeds this amount, a shuttle service must be reserved. ​Can we use the items in the house for our event? ​Yes you can use the vases, glassware, etc located inside the house. Larger items must remain inside. Please note that any lost or broken items not returned to their original places will be deducted from your security deposit at its retail value. For more decorations & plants, visit The Market Retail Shop, located at The Market at Grelen. ​What vendors may we use? ​The Market at Grelen has an extensive list of Recommended Vendors. Vendors not included in this list are allowed, must be pre-approved by the Events Director. ​Are DJs or Live Bands allowed? ​Who sets up and cleans up our wedding? ​May we take photos on the property? Yes! Spotswood offers the perfect setting for photos! Engagement and Wedding photo shoots are INCLUDED in all immediate areas if the spaces are not booked for another event or stay. Photo shoots outside of business hours are available based on availability and for an additional fee of $50 per hour. ​Where can our Guests stay outside of Boxwood Villa & Spotswood Lodge? ​The town of Orange is approximately 10 minutes from The Market and offers several quaint hotel and B&B options. Charlottesville is a slightly larger town and is located 30 minutes South-West from The Market with numerous hotels to choose from and Culpeper is located 30 minutes north of the Market with several accommodation options. Please visit Rural Roots website (www.ruralrootsva.com) or ask our Venue Manager for a full list of local accommodations. ​Is a Grelen employee present at our event? Yes, an Events Director is present the day of your event and included in your venue fee. On the day of setup, the Events Director will provide coordination for key suppliers; however, all design and set up is the sole responsibility of your Day Of wedding planner and full service caterer. ​Can we bring in our own alcohol? Yes you may bring in your own alcohol, but all alcohol must be served by a licensed Cater, guests cannot “serve themselves” at your event. Beer, wine and mixed drinks are allowed. Our homemade ice cream has been very popular and is becoming a staple at many Grelen weddings. Depending on the season, we have fresh berries and produce that can easily be incorporated into your specialty cocktail, dinner menu, or pie bar. Grelen honey from our own honey bees are a special one-of-a-kind favor for guests. Ask our Events Director for details on what will be in season for your wedding day. ​The Market at Grelen’s in-house catering team, headed up by our Executive Chef, Harold Martin will manage all aspects of the catering portion of your event if it is under 50. Your guests will enjoy fresh, farm-to-table cuisine, grown at Grelen’s own, 600 acre property and other local farm partners. Inquire with Events Director Emmie Woody for more information. ​Can I book an event on a weekend, April - November? ​You may choose a weekend date 6 months prior, if there is availability onsite. Ask our Events Director for pricing & further details.